How Do I Choose the Best Foot Scrub? A foot scrub will remove dead skin cells from a person's feet. A good foot scrub should effectively exfoliate one's feet. A foot scrub can be a soothing way to relieve your tired, achy feet and help remove dead skin, but with so many on the market, it can be hard to decide which one is the best. The two main factors to consider when choosing your favorite foot scrub are scent and texture. While smooth creams can be nourishing to dry skin, for a scrub to work it usually needs to have some sort of mildly abrasive ingredient to help remove the dead skin cells. The scent is a secondary factor, but you should choose something you enjoy. If you spend a lot of time on your feet or suffer from a medical condition that causes dry skin, you may experience dry, cracked heels. Left untreated, those cracks can be painful and even become a breeding ground for fungal infections. Using a foot scrub can help remove some of the excess dead skin cells, leaving your feet smoother and more comfortable. While foot scrubs are typically safe, if you have broken skin on your feet consult a podiatrist before using. The most important part of a good foot scrub is the exfoliating ingredient. There are many different types, including sugar, salt, nutshells or seeds, pumice, and even coffee. All of these ingredients create friction when rubbed into your feet, which in turn helps remove the dead skin. They all work equally as well, but some are gentler than others. For example, a fine sugar scrub may be less likely to cause micro-tears in your skin than a course salt scrub. Sugar and salt are good choices for using in the shower because they dissolve quickly, while pumice and nutshells and pumice leave behind residue that can clog your drains. Scent is another factor to consider when choosing the best foot scrub, especially when the scent is derived from essential oils. 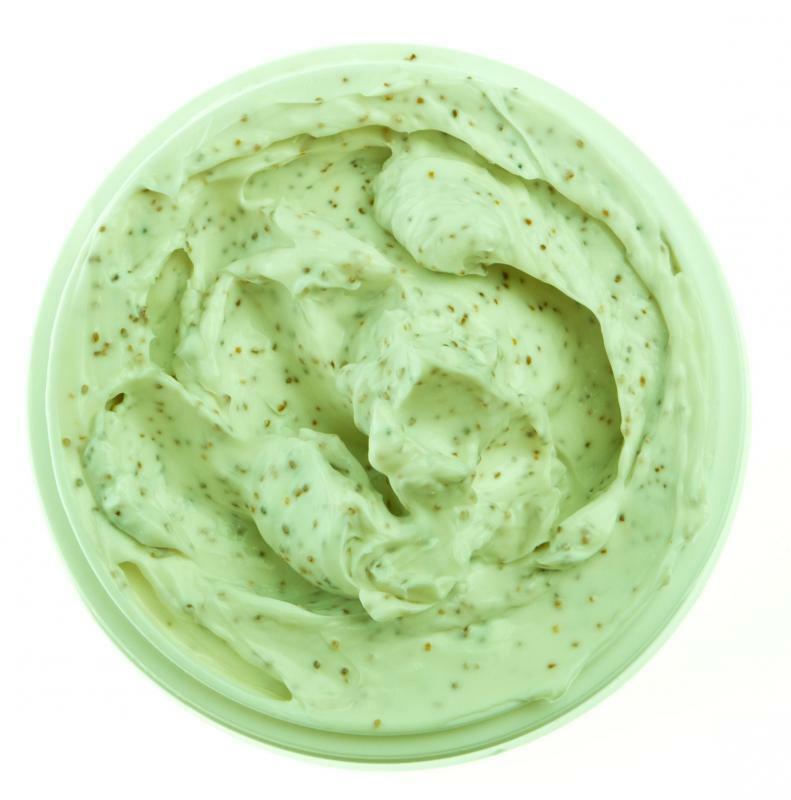 Peppermint is one of the most common essential oils used in foot scrubs because it is naturally antibacterial and leaves behind a cool, soothing feeling. If you do not like peppermint, however, you can find other scents, such as lavender or chamomile, or opt for unscented foot scrubs. Although scent and texture are two of the most important aspects of your foot scrub, other ingredients play a large role as well. Look for foot scrubs that contain moisturizing ingredients, such as oils that remain on your feet after you rinse the scrub away. Just be careful using these in the shower, as they can cause you to slip. If you have a difficult time finding a foot scrub that you like in the stores, you can always make your own. Combine an exfoliating ingredient with base oil, such as olive oil, and add a few drops of your favorite essential oil. Mix in small batches and use right away to prevent it from becoming stagnant. What Is a Shower Foot Scrub? How Do I Choose the Best Shower Foot Scrubber? How Do I Choose the Best Foot Bath? How do I Remove Foot Calluses? What is a Callus Razor?